Over the years it has become a little tradition to have a Super Bowl party. 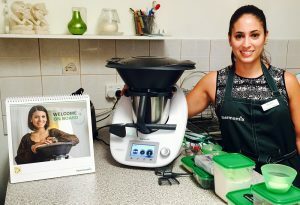 Last year was my first year to use my Thermomix and I went all out. 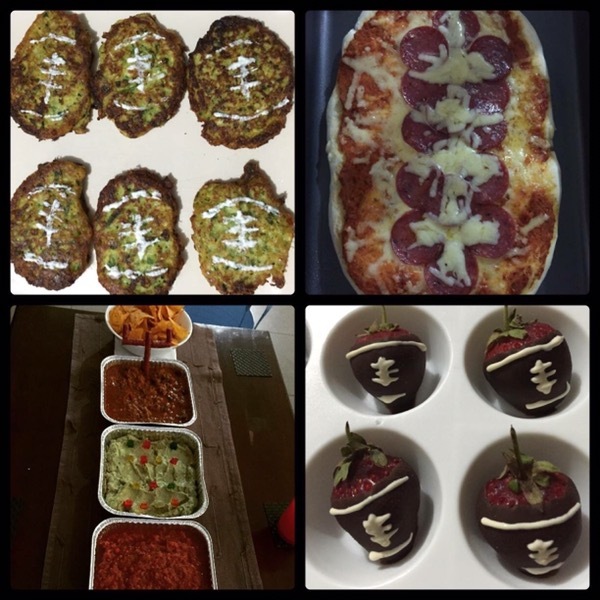 We had zucchini fritters, football shaped pepperoni pizza, chilli con carne, guacamole and salsa. And for dessert I dipped strawberries in Quirky Cooking’s raw chocolate and made them into little footballs. As delicious as it was it was too much foo and it was way too early to eat it all. The game aired around 6am (Perth time). This year the game aired just before 8am and featured a more breakfast friendly feast. 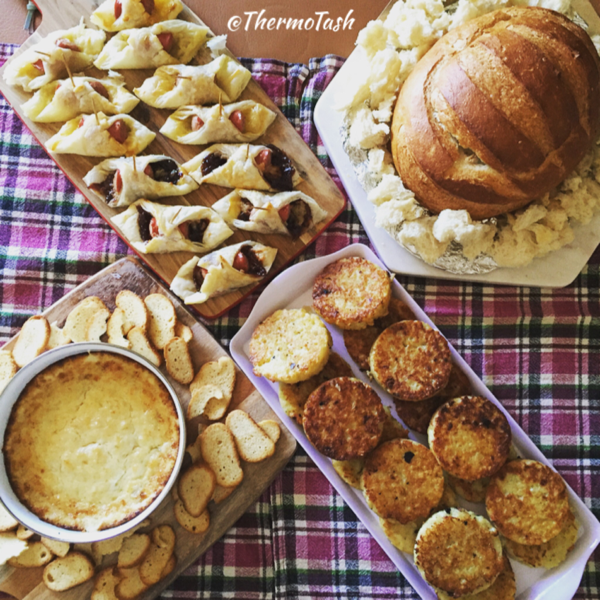 The pigs in a blankets were the only dish not made using the Thermomix and were courtesy of my brother.